My family so loves your apple cake with caramel cream cheese frosting. I have had your recipe for years. I cut it out of the Utica OD. I have recently moved and cannot find my box of all my recipes. With Thanksgiving coming soon, I would love it if you would share the recipe again with me. Just forwarded the recipe for Apple Cake with Creamy Caramel Frosting to you. 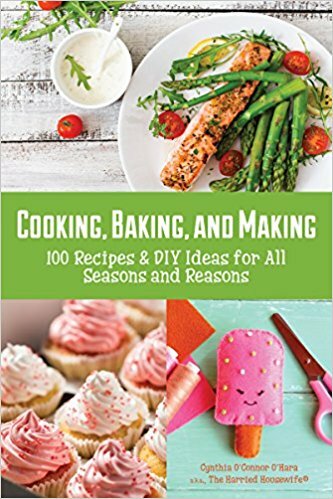 It also can be found in The Harried Housewife’s Cookbook: 125 Most Requested Recipes! I’m glad to know your family enjoys it. Here’s wishing you and your family a Happy Holiday Season.